HAPPY FOUNDATION UTTAR PRADESH is located in Lucknow Uttar Pradesh . HAPPY FOUNDATION UTTAR PRADESH is registered as a Society at Banda of state Uttar Pradesh with Ngo unique registration ID 'UP/2013/0060790' . 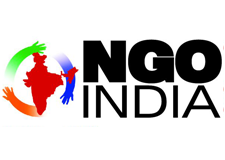 The NGO registration is done by Registrar of Societies with registration number 3376/J-24181 on the date of 01-01-2012, Its parent ORganaisation is PaulFoundation. The Chairman of HAPPY FOUNDATION UTTAR PRADESH is Vivek kumar rai and Chief functionary officer is Mukesh kumar. Happy Foundation is organised free computer classes for class 5-12 in branch Banda.The programme for 2012-13 has ended.